The portal on the left side in "Sanctum of order" doesn't work. Explain me why the horde losing a bg always triggers that server crash, and I was playing with a horde group doing that sort of a... cant even name it. Is taking down the server that easily. That reminds me for yesterday when I was playing "The Battle for Gilneas" with 1490 points out of 1500 winning when the server crashed(again). Do something about this thing because it's annoying and disturbing crashing the server when doing mythic mode or even a battleground. Title: Bring back buying single part of a set Type: Shop Description: Hello, I was really wondering why the new design shop dont have the option to buy a single piece of a gear. I had a discussion with a gm about that and she said that its on purpose, so it might be a good idea to bring back that option, previus thanks. After the login menu, I got this blackscreen issue. Merry christmas to Firestorm staff. Merry christmas to all Firestorm administrators devs and gm's... especially Peluche, Inveric, Jyna, Redemptionn, Judie, Ghostceleric, Captain Shampooing, Misahky, Volokasse (for the good old days) and everyone else i didn't mention. Wishing you peace, joy, and all the best this wonderful holiday has to offer. May this incredible time of giving and spending time with us and your family bring you joy that lasts throughout the year. And again merry christmas and happy new incoming year. Listen, on the plate when entering in the main web. of firestorm does not write "playing here is mandatory" you have no excuses.. nobody is forcing you, nobody holds you, so you can leave if you don't like the situation here. I can't understand what kind of ppl you are. Shop problem with picking character with same names. 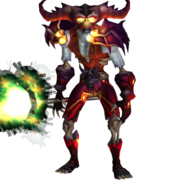 Character issue: Shifuraa Character item: Shifura Expansion: Legion Realm: Sylvanas Explain the issue: Hello firestorm, I wanted to buy an item from the shop, but before that i purchased some points to buy, and everything was ok. Went to selection where u pick wheres your realm, nickname, character and... yeah you know that. Legion/Sylvanas/Shop/Character-Shifuraa/BuyItems/Weapons that were the place i went to buy Warhammer of Retribution I pick that hammer in my cart, selected my character where this item will be going, in this case (My horde character Shifuraa). But now the real problem is that my item isn't on Shifuraa its on other... So can i have my refund purchasement, here's my purchasement history. All i want is to bring back the points i want or atleast to move this item from "Shifura" to my "Shifuraa" character. Previus thanks. 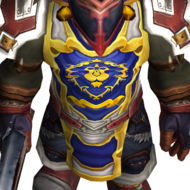 Where the f**** are the quests in northrend. And one more, why the quests items have a drop chance... from all bugs and stuffs now this is already unbearable......... WTF!????? Can you explain why there aren't any quests in northrend, Im 72 Level druid worgen. No quests in Valiance keep, Amber ledge, Unu pe even Fizzcrank airstrip... how the fuc* im supposed to level up... hooow? 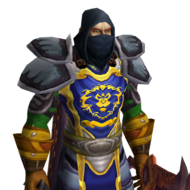 Yo, hello, yo sup... Will there be a Legion realm/server added in firestorm toys collection And a fast joke How do you call 100 paladins in thousand needles? A BUBBLE BATH ! !